Events mark 1800s castaways who were first Japanese in U.S. In the late Edo Period 200 years ago, a Japanese ship crippled by a storm drifted for 484 days, the longest period on record. The 14-member crew was led by Capt. Jukichi, and based on records, it is believed the survivors were the first Japanese to arrive in America. 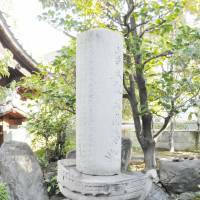 Jukichi, however, remains virtually unknown in the present day, even in his own hometown. This year, to mark the 200th anniversary since the sailors’ ordeal began, a book depicting his life has been published and various exhibitions and events are being organized. Jukichi was born in 1785 on Sakushima, an island in the present-day city of Nishio, Aichi Prefecture. He was adopted by a family living in the city of Handa. He went to sea at age 15. After 14 years, he became the skipper of the freighter Tokujomaru. On Nov. 4, 1813, a storm hit the vessel off Shizuoka while it was on its way back from Edo (Tokyo). The vessel’s helm and mast were damaged, and it began drifting helplessly to the east. When the crew were rescued by a British ship off California 484 days later, only two other crew members — Otokichi and Hanbe — had survived. The two sailors and Jukichi landed on American soil and then sailed up the West Coast aboard a British ship, past Alaska, and spent the winter on the Kamchatka Peninsula in Russia. The following year, the three mariners traveled to Hokkaido on a Russian ship, but Jukichi and Otokichi, a resident of Izu in present-day Shizuoka Prefecture, were the only two who made it. Hanbe died during the journey. Since Japan was a closed country at the time, the two were subject to a long investigation. When Jukichi returned to his hometown, his status in the community soared. After climbing the social ladder, in addition to being permitted to carry a sword, Jukichi won the right to have a last name, Oguri. In olden times, Japanese usually only had one, given name. Jukichi Oguri talked about his adventures and displayed the items he acquired during his journey to collect money to build a memorial to his crew. Ikeda Hirochika, from the Shinshiro clan, recorded the ordeal in a book titled “Funaosa Nikki” (“A Captain’s Diary”). The book was considered a great literary piece, and various copies were made. Many other books based on “Funaosa Nikki” were published and some were even translated into English. Hiroshi Mitamura, 77, chairman of the Chubu pen club, published a book titled “Samayoi Hatetsu” in August. “His survival story is very impressive. I admire his spirit. He even kept his promise to his crew to build a memorial for them,” said Katsunobu Mizuno, head of the Jukichi, Captain of the Sea club. “However, many of the locals don’t even know him despite all these records available. I want the children in particular to know about Oguri,” Mizuno, 71, added. Mizuno has been working on this project for 30 years with others, but they only established the club last year. The group successfully developed a “kamishibai,” or picture-story show, of Oguri, and volunteers traveled to other places to present it. The “Oguri Summit” will be held on Sakushima Island in Nishio on Nov. 16 and 17 to commemorate the 200th anniversary of his adventure at sea. 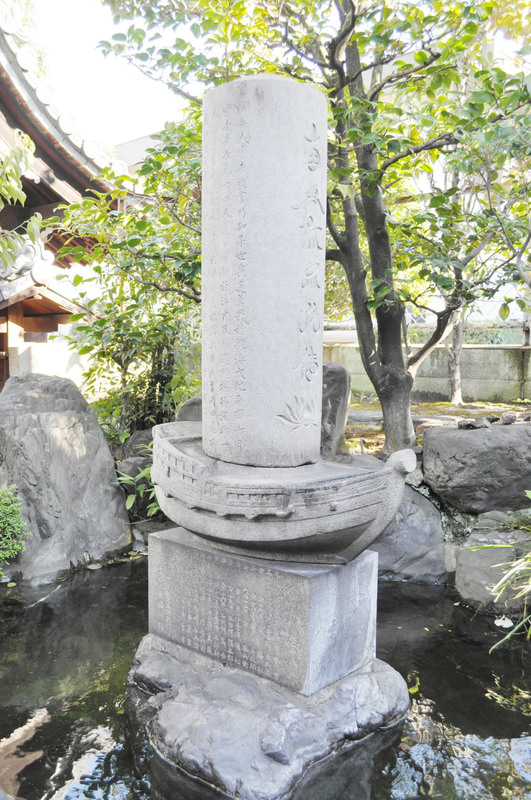 The event is being sponsored by the cities of Nishio, Handa and Shinshiro, places that have significant ties to Oguri. Exhibitions, lectures and kamishibai plays will also be held at the Isshiki Manabi no Yakata museum and Iwase Bunko Library, both in Nishio, this month. This section, appearing Saturdays, features topics and issues from the Chubu region covered by the daily Chunichi Shimbun. The original article was published Oct. 22.